Let's face it, the world has still not recovered from the Royal Wedding - and Trevor Noah's comments are hilarious. Find out more in the 'Hot Goss' with Jane. 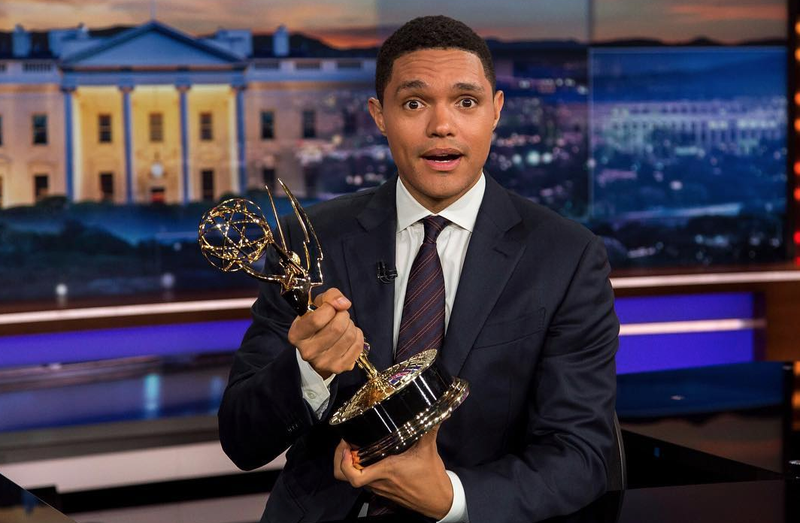 Oh my, Trevor Noah can say what he says and get away with it. I am such a fan of this guy and delight in seeing his success. Isn't it amazing that he went from 150 in the audience to 16,000 people six years later? Trevor happened to be on stage the night of the Royal Wedding and, of course, he had a lot to say about it. In honor of her track 'Be Careful', Cardi B has released her latest music video. What a cool tune and video, and this was filmed while she was five months pregnant too! Respect! I was drinking out the bottle of heartburn syrup and having my feet rubbed! How sweet are these two?! I don't blame them for keeping their relationship to themselves during this process, you want to win for the right reasons - based on your talent. Not only did America crown a new American Idol winner on Monday night, but fans were also shocked to learn that winner Maddie Poppe and runner-up Caleb Lee Hutchinson had been secretly dating.